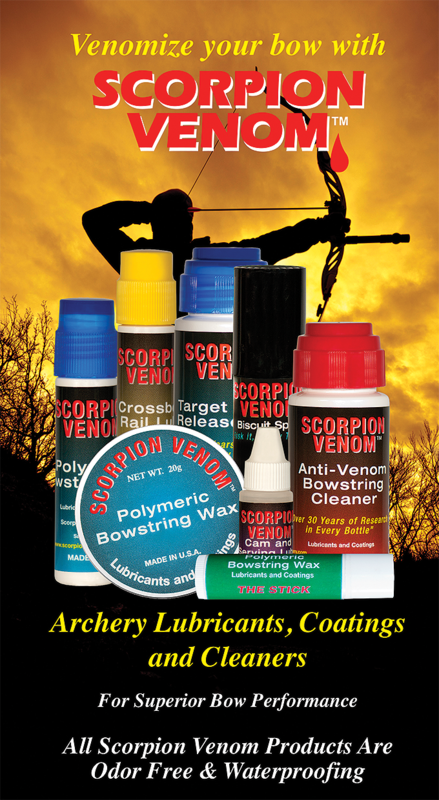 SCORPION VENOM ARCHERY has over 38 years of lubricant formulation know-how and we are pleased to offer these fine products to you. We discovered from the start that equipment is becoming more sophisticated requiring advanced/innovative lubricants to service product and user needs. We love our customers and welcome your feedback and suggestions. Let us know what we’re doing right or what we can improve on. Our line of products have been developed and tested by sportsmen, for sportsmen.